Keeping it deliciously simple is Janella’s healthy food philosophy. Using many superfoods and grains, she has created over 150 fantastic recipes that the whole family will love. Superfoods. Food as medicine. Supergrains. Fermented foods. Wholefoods. 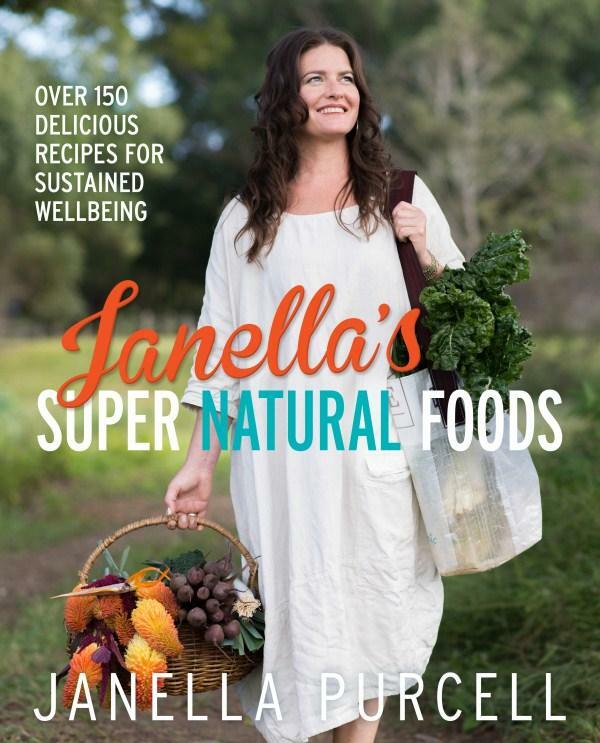 Keep it simple.In Janella’s Super Natural Foods every recipe will help you to achieve better health and beauty. 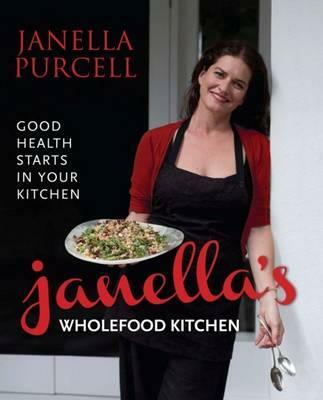 With over 150 delicious recipes for healthy breakfasts, lunches, dinners, desserts, snacks, drinks and sauces, Janella uses wholefoods to satisfy everyone. A dynamic mix of superfoods and a good old-fashioned plant-based diet, Janella’s philosophy of using food as medicine is simple and easy to follow. Many of the recipes have been influenced by Janella’s travels to Italy, Japan, India, the Middle East and South East Asia – healthy food has never been so tantalising nor so easy to create in your kitchen. Clearly marked throughout with symbols for gluten-free, vegan, vegetarian, dairy-free, raw, soy-free, nut-free or grain-free, each recipe also contains alternative ingredient suggestions to please all your friends and family. As a talented naturopath, nutritionist, wellness coach, herbalist and environmentalist, Janella Purcell is eager to share her wealth of knowledge and experience. 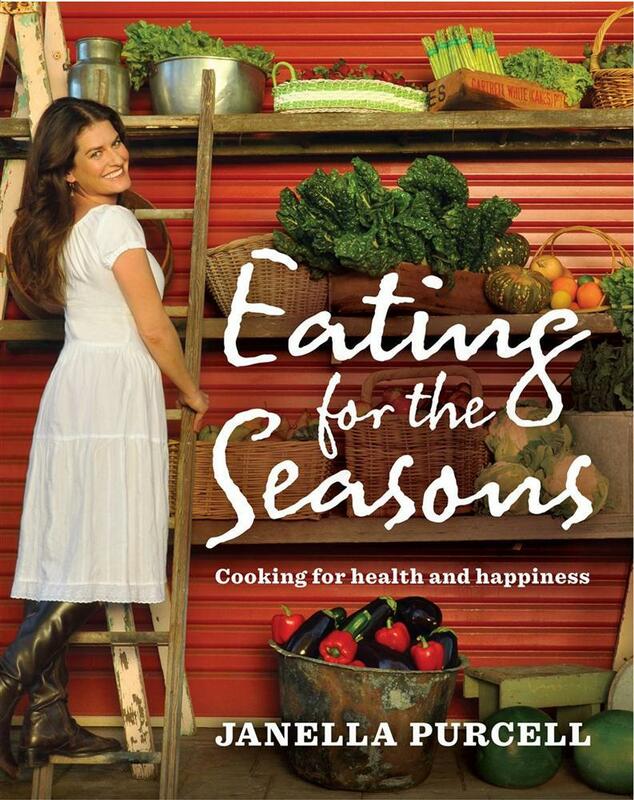 Her passion for cooking and keeping things simple means that staying healthy has never been easier. Easy, enticing and lick-your-fingers delicious recipes using nothing but whole foods – those as close to the way nature created them as possible – from Gourmand-awarded nutritionist, naturopath and cook, Janella Purcell. Good health starts in your kitchen and Janella Purcell, Gourmand-awarded nutritionist, naturopath and cook, shows you how – easily and deliciously. In Janella’s Wholefood Kitchen, Janella shares 130 tempting recipes that make healthy wholefoods the star of your table. With each recipe clearly marked as vegetarian, vegan, raw, dairy free or gluten free, from soups to main courses, party foods to salads and desserts, this is a cookbook that will start you on the path, or continue your journey, to a healthy lifestyle. Want to get that extra bounce in your step? Follow these healthy, delicious and easy to follow recipes designed to maximise the benefits of eating according to the season. Janella Purcell is passionate about good food and feeling great. And she wants to share her knowledge. Drawing inspiration from Traditional Chinese Medicine as well as the Japanese macrobiotic diet, Janella’s recipes encompass what we should be eating in each season and the sorts of foods our bodies need to remain healthy and strong. Just as importantly, Janella’s food is simply delicious. Open the book and enjoy the range of beautiful and easy recipes that take you from breakfast through to dessert with yummy, healthy drinks and snacks for any hour. Dedicated to a core philosophy of food as medicine and focusing on gluten-free, dairy-free, vegan and vegetarian options, Eating for the Seasons is a refreshing and entirely delicious approach to food and flavours that might just change your outlook, your health and your life. One of Australia’s leading naturopaths and nutritionists, shares her expertise in foods, health and nutrition, and shows you how to care for yourself, naturally and easily, using food as medicine at home. To reap the most out of your life, invest time and thought into your health. And enjoy every moment of it. Janella Purcell knows that the food you eat affects your mind and spirit as well as your physical body. In this invaluable book she shares her expertise in food, health and nutrition, and shows you how to care for yourself naturally, using food as medicine at home. Entertaining, practical and comprehensive, this revised edition of Elixir covers a wide variety of subjects and information, ranging from suggestions for healthy ageing and why you should use organic produce to tips for those suffering from headache, fatigue, immunity problems, fertility issues and digestive complaints. 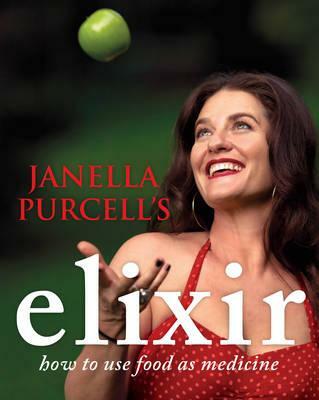 Janella Purcell’s Elixir introduces you to what Eastern philosophy has been practising for thousands of years — the interconnectedness of the body, mind and spirit and how this affects your state of mind, health and personality. Shortlisted for The World Food Media Awards in the category of Best Health Nutrition Book, Elixir is a book to use, keep and treasure.